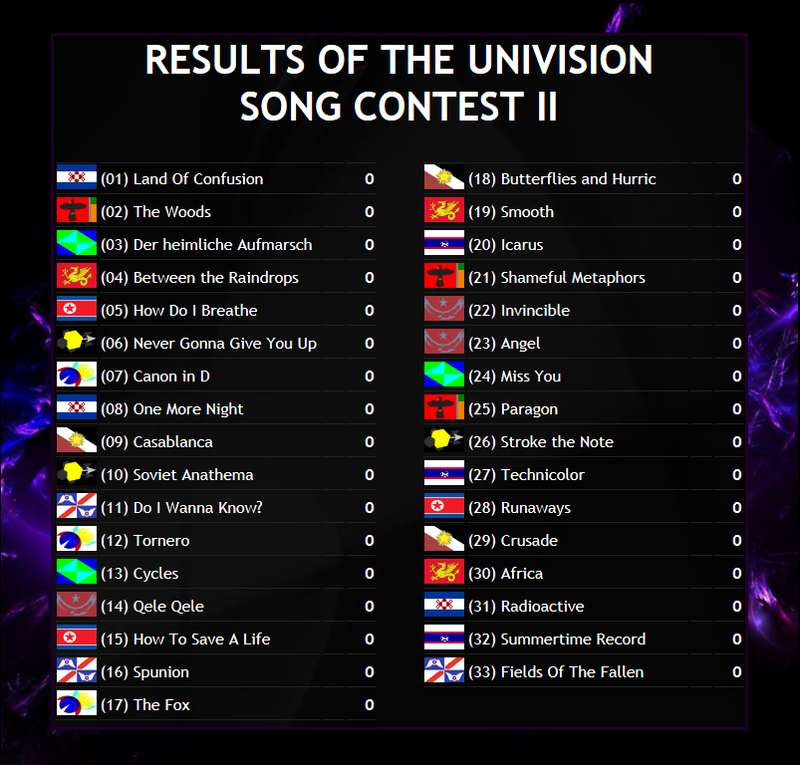 Welcome back to the Univision Song Contest for the second edition! The previous edition is found here. We're back in Aahrus after the glorious win by Ani Lorak's Shady Lady who scored 66 points! Welcome back to Aahrus! Our beautiful little island is located off the scenic coast of Ethanthova. One of the densest cities on Universalis, it is our pleasure to bring you the second edition of the contest! 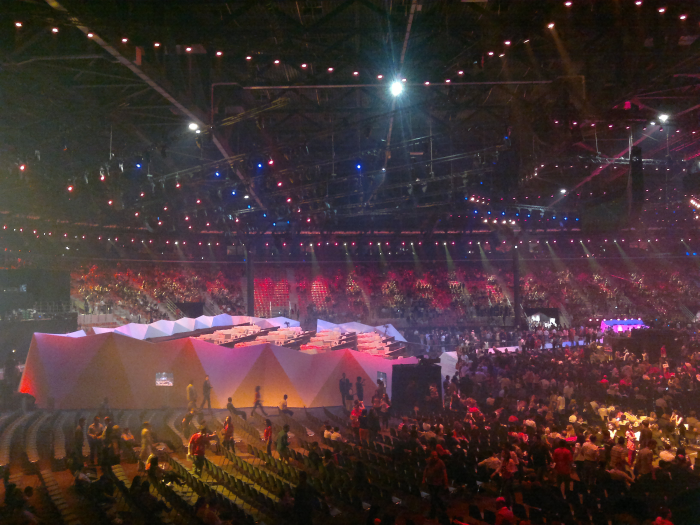 As the host venue for the first contest, our wonderful Crystal Hall is perfectly suited for the contest. All the acts will find it perfectly comfortable on the stage in a few days. 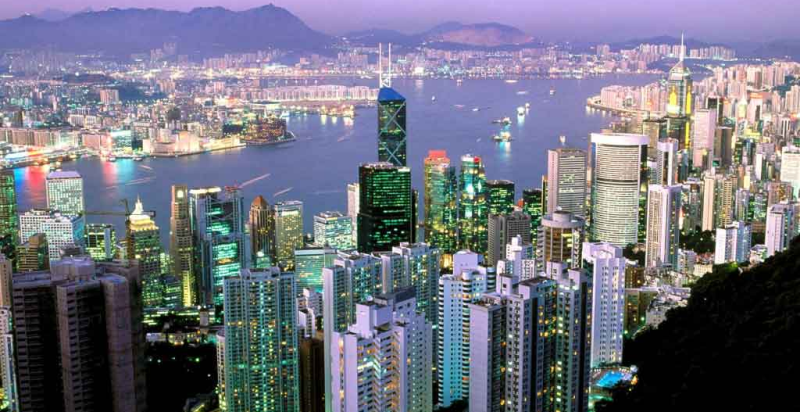 We hope you have a wonderful time in the city state! Next year, the contest will be hosted in the winning country, so good luck to all! Full rules for the second edition can be found here. - A song must not have been sent in previous editions of the contest. - If there is copyright issues, another version of the song must be found. If the song has already been submitted, anyone who gets copyright issues will not be required to listen to it. - There is a 34 song maximum that are allowed to enter, it is first come first serve. It is recommended that you only submit 2 songs if you are submitting near the submissions deadline. - Songs must be sent in a private message to me, Yqt1001. 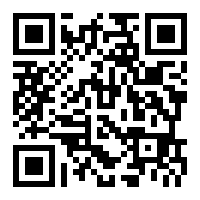 - You can only enter one country into the contest, however you can send multiple songs. - The country does not need to be yours, however you need permission from the leader to send it to Univision. - If you have yet to submit a flag, you must submit one. - The flag sizes I need are: 165x110 and 40x25. I can do the resizing if necessary. ALL ENTRIES MUST BE SUBMITTED BY 12:00 GMT ON SATURDAY OCTOBER 5TH! The live broadcast of Univision (located here) will be a few hours afterwards and a time will be confirmed the Friday beforehand. Re: The Univision Song Contest II - Submissions! Inb4 Yqt wins again, and then everyone pillages Aahrus. hey i gave you my flag and you said ok so are you going to resize it or what?? We are at 30 total entries! If you're looking into joining at this point, please only submit 2 songs at most. I have entries from myself, fiah, atomic, tmc, matty, yourself, tuto, naru, bla and kipz. Live broadcast at 19:00UTC tomorrow? 3pm EDT, noon Arizonan time. The live broadcast will be located here. The full list of songs will be revealed probably an hour or two before it. No you don't have to be there, but you will still have to listen to the songs and vote on them. We have gotten 33 songs from 11 people this edition. gagnant (totally not French for winner) is going to be under Shmupland this edition. Time to start isn't it? We have just over 2 hours of music for you to vote on, a total of 33 songs sent in by 11 countries! The running order was randomly generated as always. The Youtube playlist for the songs of the second edition is located here. The songs are in order according to the running order. This will begin at 19:00UTC, or an hour from this post. It will last two hours and cover all the submitted songs. The live broadcast will be located here http://synchtube.6irc.net/r/UnivisionSC . - If you are participating, you are required to vote or else your entries will be disqualified and will come last. - Everyone who votes will need to give me a ranking of their 10 favourite songs. This will be converted into the following points: 15, 12, 10, 8 , 6, 5, 4, 3, 2 and 1. - Tiebreaking is: song with the most number of voters wins, the same number of voters makes it based on running order. - I will accept votes as a 1-10 ranking of your favourite songs, with 1 being your favourite and 10 being your tenth favourite. - All I need is the rank of the song and the song number in the running order. "1. Song #1" is acceptable. - Jury votes will be split proportionally into 7 jury voting groups. These votes will be merged together. - Votes will be selected based on how similar they are in order to keep the same top 3 votes. - Jury votes must be submitted in a PM to me, Yqt1001, like participant votes. Results will be posted a little over a day later. It will take a while to get everything ready. If you do not vote your songs will be disqualified and will come last. A little over 15 hours to submit votes! All votes are in and counted! The margin of victory for tomorrow's lucky winner is 5 points, so get hype!